This week stands to be a lot less eventful than last week, but that’s okay. I can’t run on full burn like that all the time. First, thanks very much to everyone for their support throughout the countdown to the release of Action Figures – Issue Five: Team-Ups. Release day was great, not only because the book got off to a strong start (it landed in the top ten of three Amazon best-seller lists) but because so many of you blasted through the book within a matter of hours — yes, hours — of purchasing it and contacted me via this site and Facebook to let me know how much you enjoyed it. That’s always gratifying and humbling, so again, thank you. There were also quite a few inquiries about the next installation, Action Figures – Issue Six: Power Play, and when it might be out. One lesson I learned from Team-Ups was to be cautious about setting release dates prematurely, so what I’ll say is this: it’s in the pre-editing phase, so it’ll be a few months before the manuscript is ready, and then it’ll be up to my cover artist Tricia to do her thing. As I wrote here a while ago, this process can take several months depending on several factors, many of which are beyond my control. Optimistically speaking? Book six could be out in the last quarter of 2016. At some point before that, Character References will be released, and you should definitely keep tabs on that project because I have something special in mind for my regular readers. 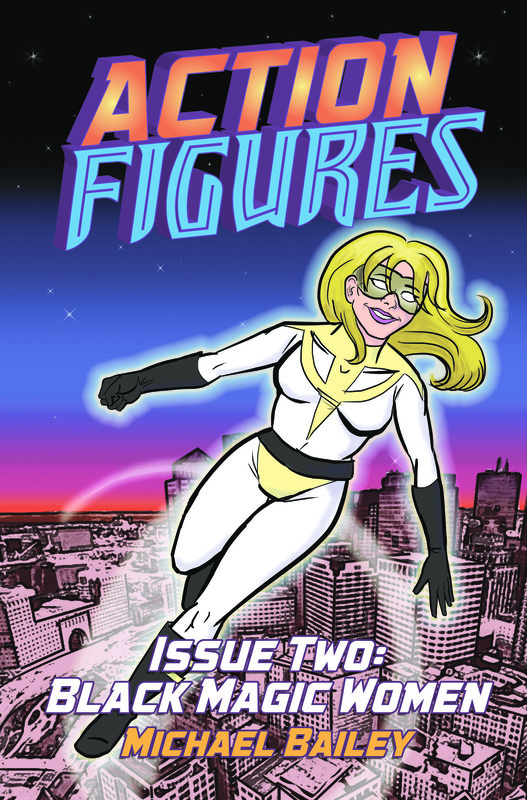 Next to finally, I’m happy to announce that Action Figures – Issue Two: Black Magic Women is now available for non-Kindle e-readers for the first time, and directly through me for the first time. Jump over to the Buy Now page and you can pick up Black Magic Women in epub or mobi format directly from me. An added note for those of you who already own Black Magic Women for the Kindle: as part of formatting the book for e-readers, I took the time to address some unfortunate issues with the Kindle version. When I first released book two I had yet to learn how to do the formatting myself so I had CreateSpace take care of it. The results were less than stellar and it’s always bugged me. Those issues have (hopefully) been fixed, so you Kindle owners should have automatically received the updated file. 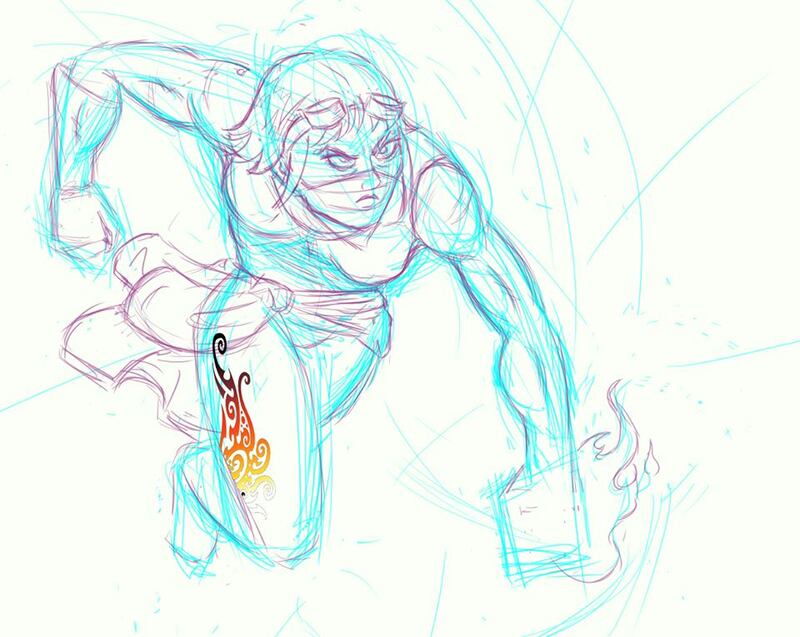 Finally finally, Tricia is finishing up the back cover art for the print edition of Team-Ups, and I got this sketch this morning of Nina Nitro, and I am jazzed to see the finished version. Enjoy! Art and copyright 2016 Patricia Lupien. Have you considered audiobooks? (Perhaps look into http://www.acx.com ?) I’ve heard it could be a good revenue stream, plus how cool would it be to have Action Figures audiobooks?! I’ve been considering experimenting with audiobooks, although I’m actually thinking about starting with my fantasy series since there’s less catch-up to do (only one book out so far). Just have to do my research into the costs and logistics.